Many salon owners miss business opportunities that already exist within their client segments. By regularly targeting specific clientele segments (groups) it is possible to increase your overall salon business one segment at a time. Talking to a small percentage of your salon client base with a targeted salon marketing message is an inexpensive way to make your salon business more successful. 1. First time clients - target first visit clients with an offer that is sure to get them back a second time. 2. 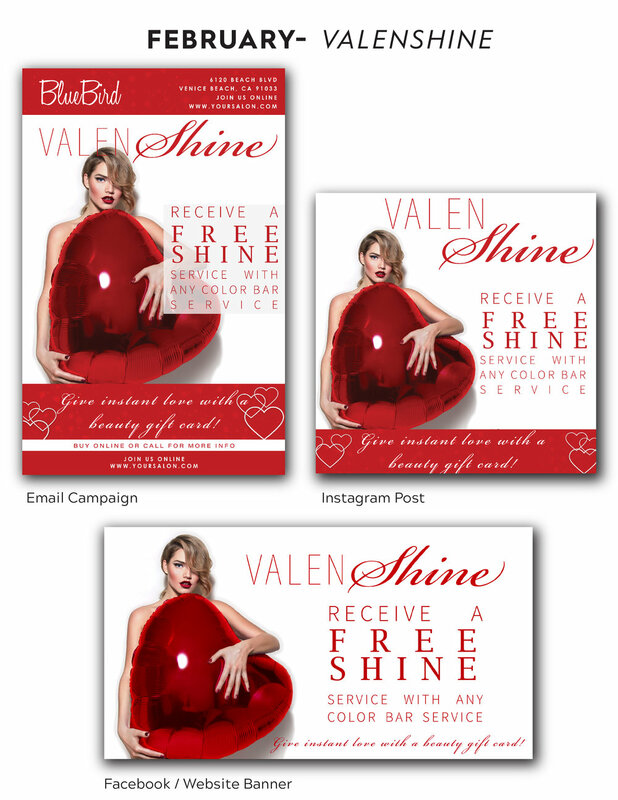 Slower days - create a salon promotion to persuade clients to visit your salon on slower days of the week. 3. Friday or Saturday clients - give incentives to clients who currently visit on Friday and Saturday to come on a different day. 4. Late nights or mornings - offer incentives to book at different times. 6. Frequency - try a targeted campaign that increases frequency of visits. 7. Seasonal clients - aim a promotion at clients that only visit pre-summer, holiday or every 6 months. 8. Highest spenders - it’s likely 80% of your business is generated by 20% of your clients. So find out who they are and get the most out of them! Each of the above hair or beauty client segments (groups) will respond best to a customized marketing message. Smart salon marketing = a more successful stable business. Need some help? Drop us a line or call the salon marketing specialists. Get agency-quality marketing at a small business price. We offer stylish, professionally crafted promotions pre-designed by the beauty experts at BeautyMark Marketing. Reap the rewards of our beauty expertise and professionally crafted marketing plan with monthly promotions. We have developed a 12-month marketing plan, complete with salon marketing tools for each month of the calendar year. Interested in learning more? Let’s chat. Click to Schedule a Chat here: calendly.com/beautymarkmarketing to schedule a FREE One-on-One Chat.